Any crash involving an 18-wheeler, big-rig, semi-truck, tractor-trailer, or other large truck has the potential to cause serious injuries or deaths, but few are as devastating as “jackknife” accidents, in which a truck's cab and its trailer skid into a 90-degree angle and may even overturn. 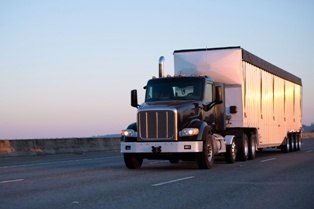 Jackknife crashes often result in catastrophic injuries, extensive property damages, and tragic fatalities. These accidents occur when a truck's drive wheels lock, but it's front wheels and trailer continue to move. This can be caused by a number of factors, including speeding, swerving, taking a curve too fast, and poor handling on slick, icy roads. Jackknife truck accident victims who file personal injury or wrongful death litigation often find themselves facing a trucking company's corporate defense team. Working with an experienced Wilmington, DE truck crash attorney can help victims level the playing field and increase their chances of achieving a successful resolution to their case. Do you have questions about a Delaware personal injury or wrongful death case? The skilled attorneys with the Morris James Personal Injury Group can help you understand your legal rights and options. Contact us today to request a free initial consultation.